The Vision of Ayn Rand Scholarship is available to students, from high school seniors through university seniors. The scholarship is based on an essay students will be asked to write, dealing with issues found in The Vision of Ayn Rand, by Nathaniel Branden.The first prize will be a scholarship of $1000, 2nd prize is a $500 scholarship, and third prize is $250 scholarship. The scholarship is awarded by the Moorfield Storey Institute, a non-profit 501(c)3 organization. Copies of the book may be ordered here. The Vision of Ayn Rand Scholarship Essay Contest is open to any student who is currently a university undergraduate, or will be anytime in 2013. Submissions are welcome from students anywhere in the world, however all essays must be in English. Either American or British spelling is acceptable. Joint submissions with up to two authors are accepted, but only the student listed first will receive the award payment. It is his or her responsibility to share the proceeds with the co-author. Both co-authors will be credited with the work. Essays will be between 1,000 and 5,000 words, not including footnotes. Essays are preferred in Word format, though PDF files are accepted initially, but all submissions must be in electronic form. The topic: Identify one area where Dr. Branden indicates that Ayn Rand made a unique and significant contribution to philosophy. Explain why he makes this appraisal and indicate whether or not you agree with his assessment, and why. You may limit sources to this book, add Rand's own works to the mix, or those of others, as you feel necessary to make your case. 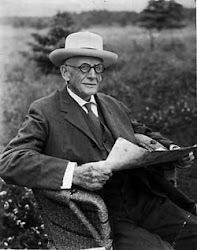 All submissions become property of the Moorfield Storey Institute, which is sponsoring the contest, and may be used on websites or in printed material related to the Institute. Submissions must be received by May 20th, 2013. Scholarship winners will be announced June 30th with personal checks mailed (Paypal payments possible) to winners at that time. Winners may use the funds toward any expenses related to their education, using their own judgment. All judgments regarding winners are final. The Institute will provide $1000 to the first place winner, $500 for second place, and $250 for third. Depending on funding available, there may be other cash prizes for non-winning essays of merit, or gift credits toward the purchase of books. Footnotes are expected. 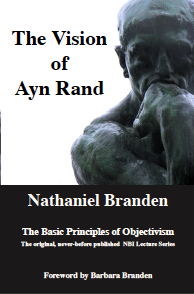 Essays should show a familiarity with the material in The Vision of Ayn Rand, by Dr. Nathaniel Branden, though other sources may be used as well. Essays should be your own unique material and we do check for plagiarism before granting prizes. Copies of the book can be ordered from Fr33minds.com. Students outside the United States may contact us regarding a PDF version of the book given the expense of shipping. Students who can not afford the book should contact us regarding discounts.